HUGE Coupons & Price Drops on Canon Cameras & Others! GearGuyd > Gadgets > HUGE Coupons & Price Drops on Canon Cameras & Others! Over at Amazon, they’re slashing prices on Canon cameras like it’s nobody’s business. A little while ago I saw a price-drop on the Canon S95 from $400 to $386. Now, it looks like there’s an additional $50 coupon as well. Then, for kicks I checked out the 60D dSLR that I ordered earlier, and there was a new coupon code for an extra $100 off! $50 Extra Off Coupon – U78ECOP5 [EDIT: EXPIRED! ], valid on Canon S95, SX30IS, G11, G12 Panasonic Lumix LX5 & quite a few more! 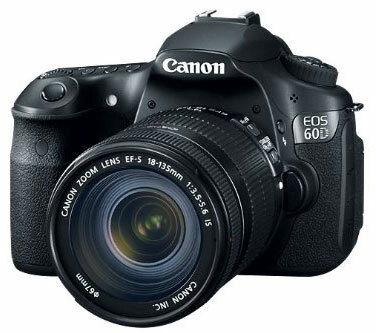 $100 off Canon 60D!! – BF8JNEEK, that’s a 60D for less than $900! Coupon codes are for a “limited time” and should be mentioned on the product pages until they expire. There’s also a code (5525OOCT) for the Canon T2i Kit where you get $200 off an extra zoom lens (55-250IS), which normally costs $208. I don’t know what’s going on over there, but I’m sure not complaining. Since I ordered the 60D earlier today, I was able to successfully request a credit/refund for the $100 coupon. If like me you ordered today, contact Amazon via chat and work it through with them. I also received a double lens credit of $60 that they tried to say was the promotional credit, but I stuck to my guns and got the extra $100 off.